The rising number of commuting accidents on our roads is a very worrying trend. 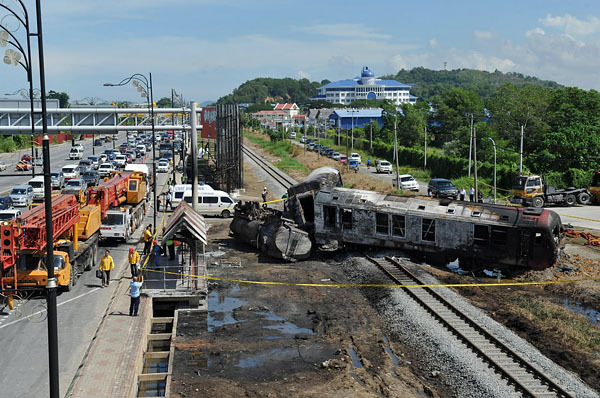 In 2011, there were 24,809 out of the overall 59,897 commuting accidents in the country reported to SOCSO, for which it paid out compensatory disbursements amounting to RM1.71 billion. That is an increase of 12% from 2010 figure of 22,036 cases (out of the overall 57,639 cases), which cost SOCSO RM1.68 billion in compensation. I took this picture few days after the incident. 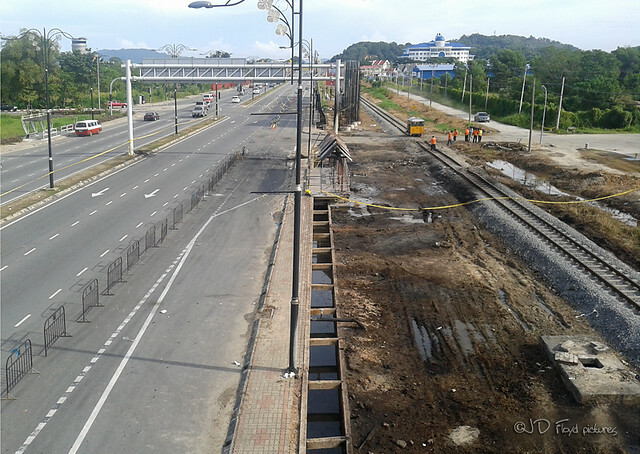 Sabah Railways is almost done with the cleaning up. In Sabah, there were 111 such cases recorded from January to July this year; most of which took place in March (22 cases) and July (19 cases). Please observe the 10km/h speed reduction which was implemented nationwide during this year's Hari Raya Aidilfitri celebration period. AND DON'T DRIVE ON THE FAST LANE on a dual-carriageway if you are driving slow. That is an offence, just like when you are speeding above the speed limit. Happy Holiday, happy balik kampung and have a safe journey home.